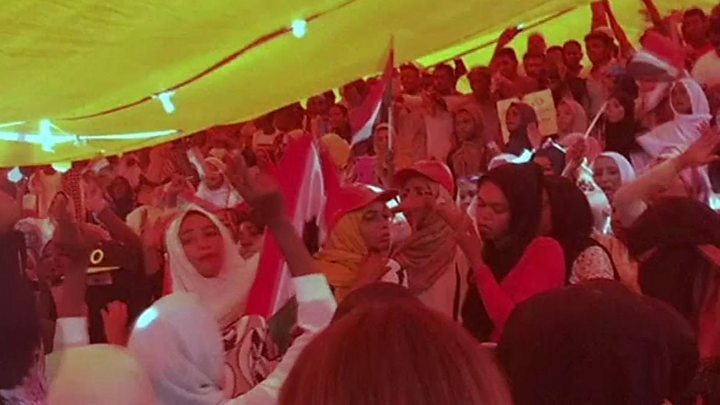 Sudan's military coup leaders have warned protesters still on the streets that there will be "zero tolerance" for disturbances. 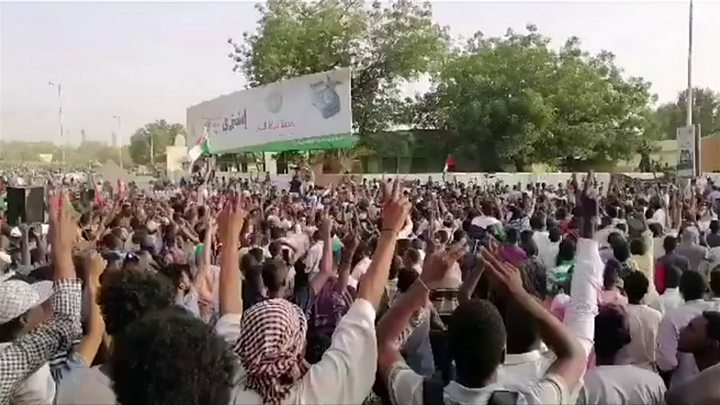 A spokesman insisted the army did not seek power and Sudan's future would be decided by the protesters - but said the army would maintain public order. Mr Bashir is the subject of two international arrest warrants issued by the International Criminal Court (ICC). He is accused of organising war crimes and crimes against humanity in Sudan's Darfur region between 2003 and 2008, allegations he denies. 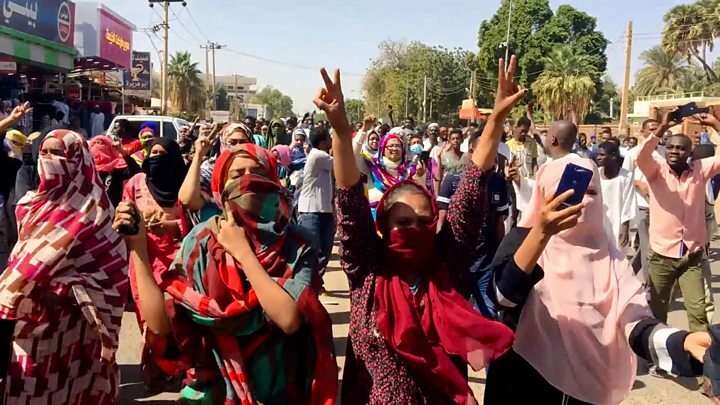 On Thursday Sara Abdeljalil, a member of the Sudanese Professionals' Association (SPA) which has spearheaded the protests, called the new military council a "continuation of the same regime". 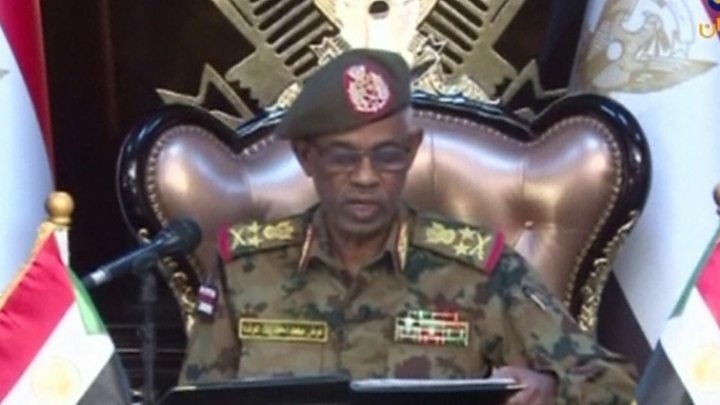 Reacting to the military's statement on Friday, Khartoum resident Tagreed Abdin told the BBC: "We don't know who's behind the military council. The army said it had ruled out a violent response to the protests before Mr Bashir was overthrown because they didn't want the loss of life. It will be difficult (of course not impossible) to walk back on that.